Personally, I like this casual story what highlights daytime endless summer pieces in colorful palette. We see lounge wear, monochromatic pieces, swimsuits, playsuits, lace frocks and other effortless and easy-to-wear essentials, what are ideal for hot summer nights. 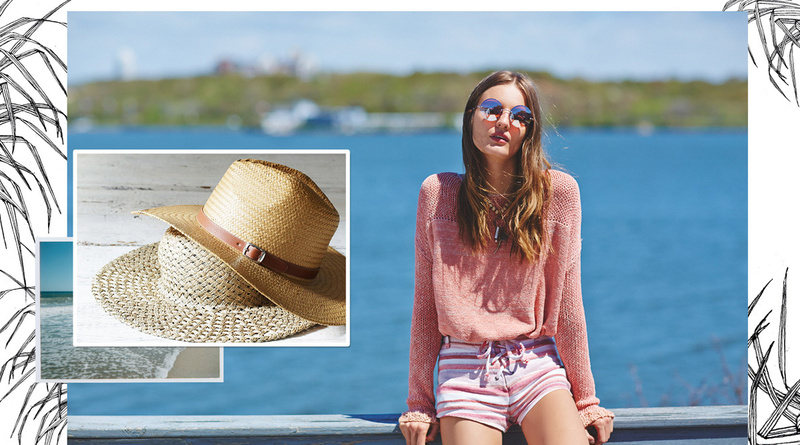 I love the showcased accessories range, starting from pendant necklaces to wide brim straw hats and easy slip-ons.